Copies of all three Post-Nearly Press editions are on sale in the ICA bookshop on The Mall (nr. Trafalgar Square), London. A very special fourth in the ‘conversations’ series will go into production later in the year, available late 16 or early 17. Meanwhile please enquire about remaining copies, which vary in number edition to edition. This entry was posted in News and tagged Andrew Kotting, Books, Chris Petit, Iain Sinclair, Psychogeography, stapled on August 17, 2016 by postnearlypress. Film Without Film – I’m pleased to say this item is in the production/preparation stages. Publication currently looking like March. This is an extremely generous and substantial interview by Chris that covers just about all of his major work at length, while pointing at future work and ideas. As one would expect, there is a significant Iain Sinclair crossover. Also, I’d say it’s a particular must for fans of Chris’s novels The Hard Shoulder and Robinson. This entry was posted in News and tagged Chris Petit, Film Without Film, Iain Sinclair, interview, London, Radio On, Robinson, Soho, The Hard Shoulder on January 19, 2015 by postnearlypress. 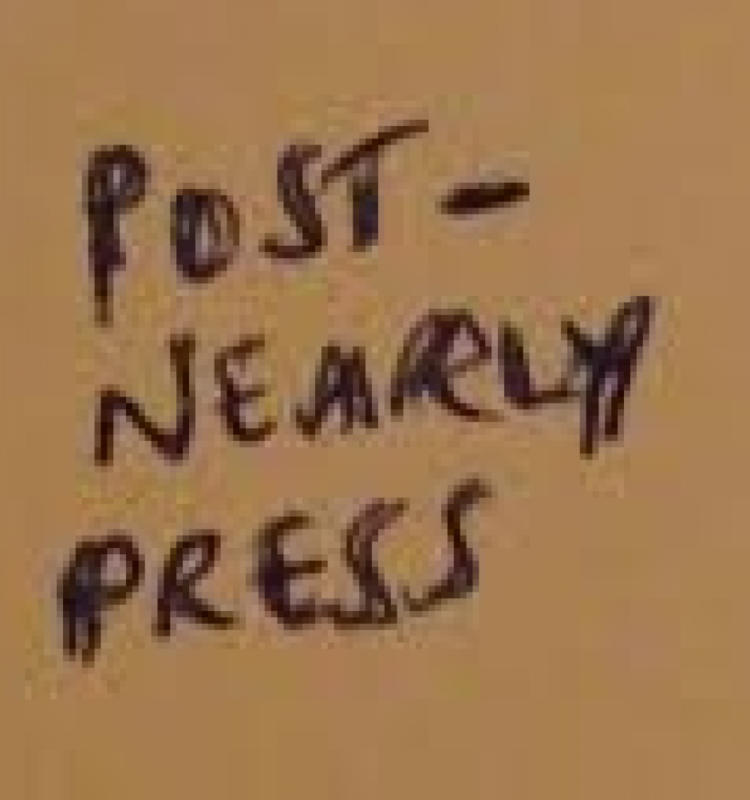 Slightly later than originally planned, but I’m delighted to give notice that the next Post-Nearly Press ‘conversations’ publication is planned for early 2015. 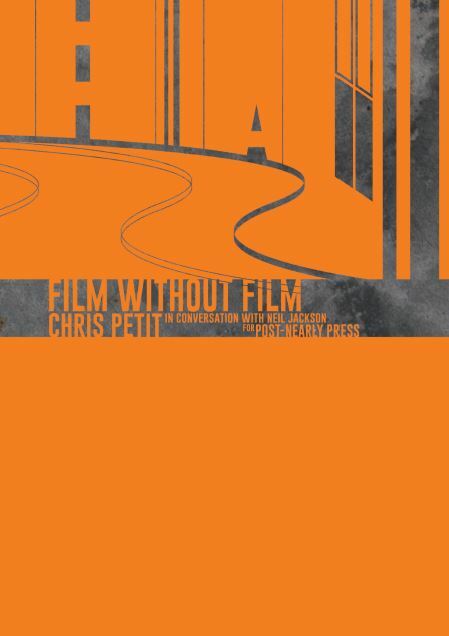 And I’m especially pleased to say film-maker, writer and artist Chris Petit is the subject. 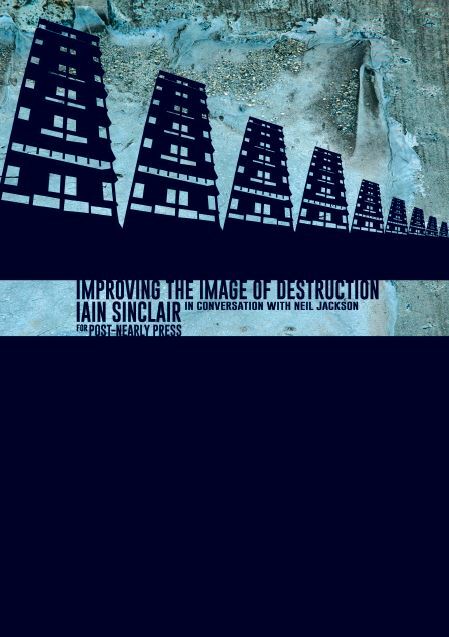 PNP2 will be in the same vein as PNP1, the Iain Sinclair publication – Improving the Image of Destruction, with more in the ‘conversations’ series planned for the future. Scenario for publication is the same: It will be a print-only item, limited in number and won’t be published on the internet. This entry was posted in News and tagged Chris Petit on November 30, 2014 by postnearlypress.